This is whimsy, come along to the party in someone else's luggage. The Man is in fire on the back. 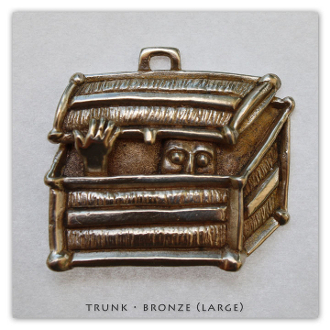 Trunk is available in solid: Bronze (Yellow), Sterling Silver (925 De-Oxidized), 14k Gold (Yellow) and 18k Gold (Yellow).